How many of you out there make New Year’s Resolutions? Do you have new goals to eat healthy, exercise more, get more rest, or read more? 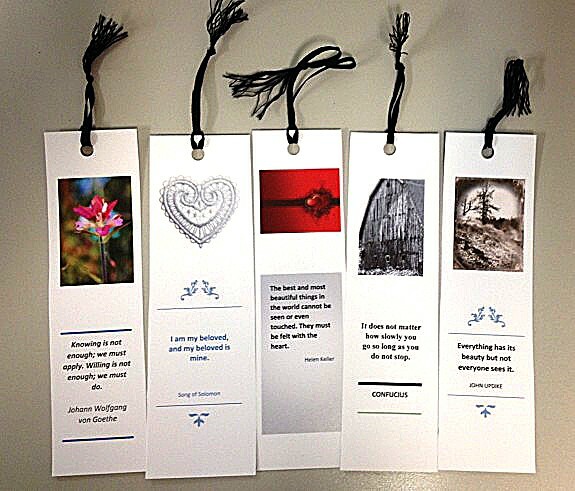 I made some bookmarks using a few of my photos along with some inspirational quotes and you can too! 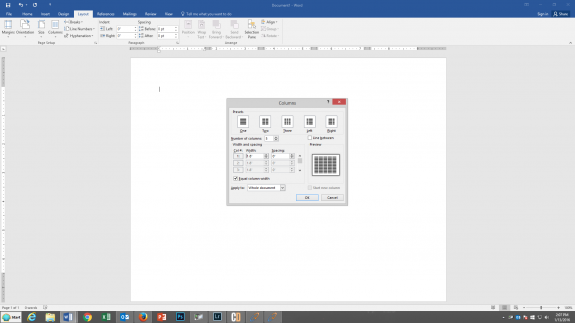 I used Microsoft Word to design my bookmarks but you can use any software you wish. I opened up a new document and made sure that it was in “Landscape” mode. Under the “Layouts” tab (for PC) or View>Publishing Layout (for Mac) I clicked on “columns” so I could make evenly centered bookmarks and adjusted the width. If you don’t want long bookmarks, you may choose to shorten your margins on the left side which will shorten the length of each column. Once I designed the bookmarks, I printed them on the 45lb Zeppelin paper, cut them apart, punched a hole in the top and put a ribbon on the end. If you are using lighter paper and want to prevent damage to the bookmark,you may wish to laminate it.